Trace detection is based upon the chemical analysis of explosive residues resulting from bomb building or concealment or any encounter with the components of explosives. Similarly, narcotic trace detection is predicated upon the chemical analysis of subject encounters with narcotic components. 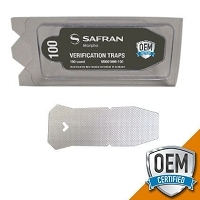 Trace detection can be broken down into three interconnected areas of investigation…sampling, detection and signatures. 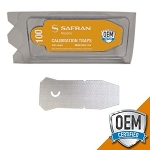 Trace explosives sampling includes both the efficiency of harvesting the explosives residues from a subject (either a person or item of interest) as well as the efficiency of transferring the collected materials to the Rapiscan Itemiser 4DX for analysis. 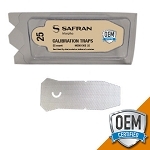 It is to this end that Rapiscan has developed its patented High Performance Sample and Verification Traps. 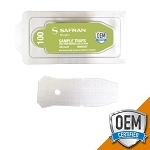 Both swabs are made using the highest quality Teflon coated fiberglass to insure optimum collection capability and verification accuracy. The sample collection process entails the use of specific procedures regarding the item to be sampled with sample collection passes proceeding in a logical fashion across the item to be swabbed to insure complete sample gathering. The High Performance Sample Swab and the Verification Swab are both extremely durable, thereby minimizing trap replacement and limiting excessive consumable expenses. We invite you to view the Itemiser 4DX Swab options we have available which will maximize your screening efficiency and reliability in your screening operation. Should you not find the product you are looking for send us an email or give us a call, we will be happy to help.